When you open up a video in the Photos application of your iPhone, the only available option under “edit” is a video trimmer. You cannot rotate or otherwise manipulate your video in any way. This step by step tutorial will show you how to rotate or mirror your video quickly and easily. 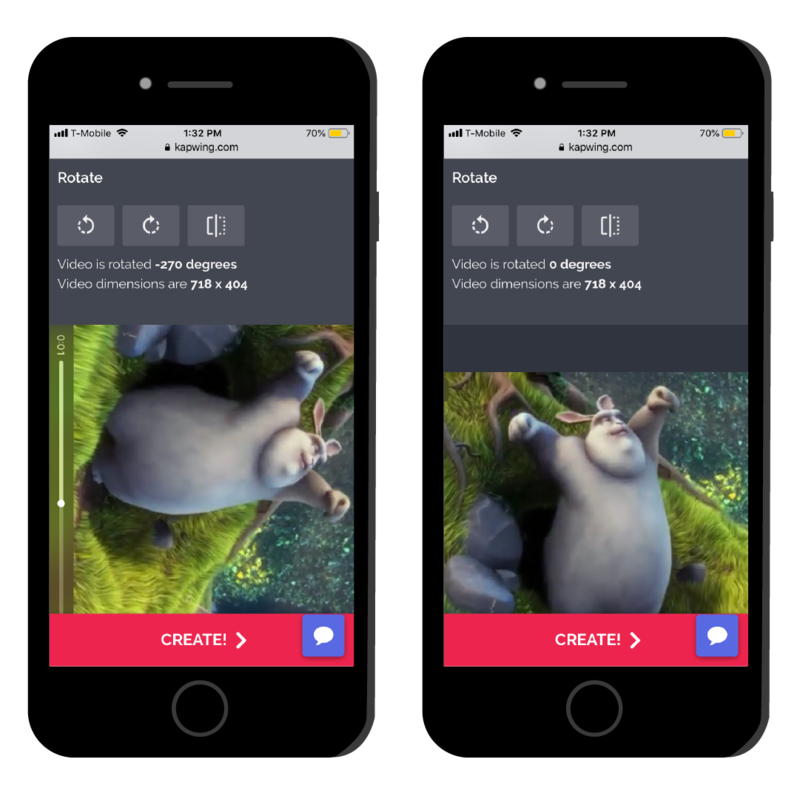 There’s many other reasons you would want to rotate a video you’ve taken on your iPhone. You may want to make yourself look like Spiderman walking on the ceiling (but the video you took is of you walking on the floor.) You may have saved a landscape video from Snapchat or Instagram but it saved thinking it was a portrait (silly video!) You may just WANT to, no explanation necessary. 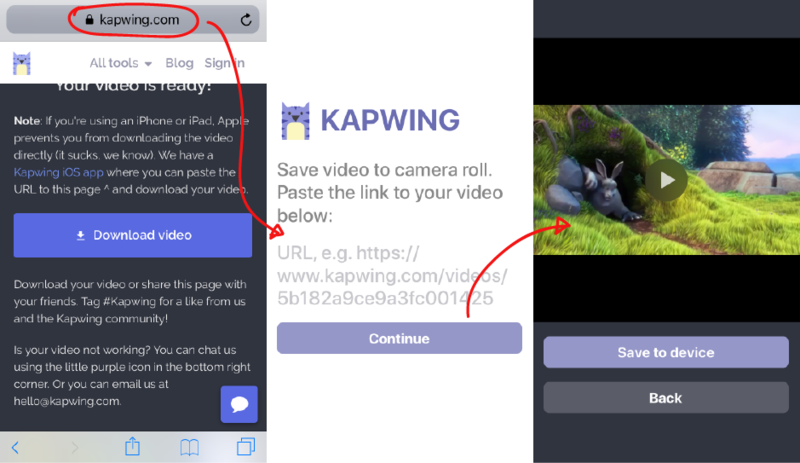 Upload your video to the free Kapwing rotate tool. Use Kapwing’s rotate tool to rotate, mirror and even trim your video as desired. Press the left arrow to rotate your video counter-clockwise and the right arrow to rotate your video clockwise. Use the mirror tool to flip your video over the center vertical axis. If you want to cut off parts of your video you can click “Trim video” which allows you to control the beginning and ending of the clip. Click CREATE! Copy and paste the link from the download page to the Kapwing iOS app (available here) and then click “Save to device”. Why do I need to download an application? Is it safe? Yes it’s perfectly safe! We are a small online video creation startup eager to make working with video easier for modern creators. Unfortunately Apple makes it really difficult for web developers to enable video downloads from mobile Safari. The Kapwing iOS app allows us to circumvent this.